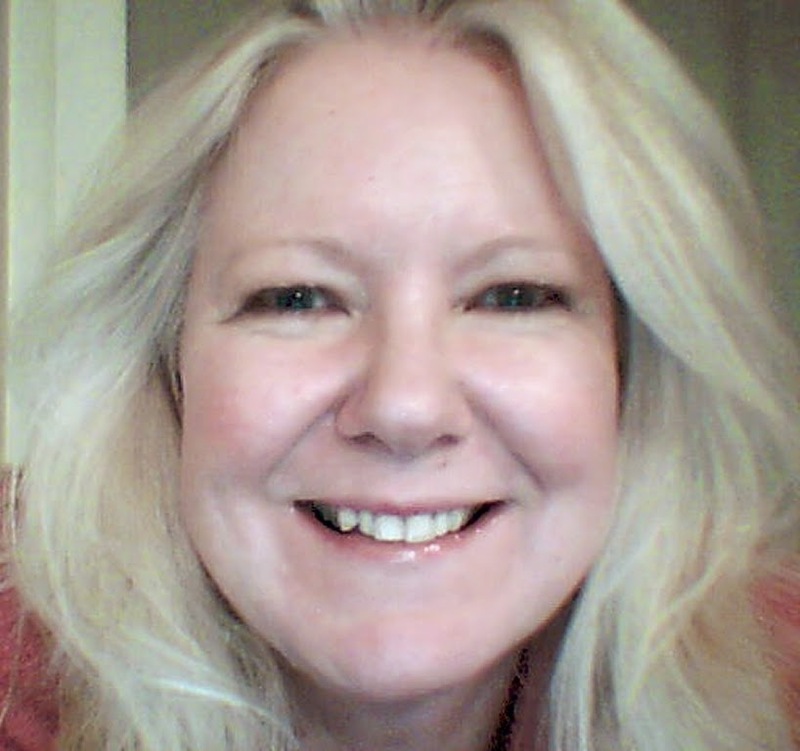 Today I'm excited to have author Donna Cummings featured on my blog! She's here to share Five Fun Facts about herself, her book and her writing! 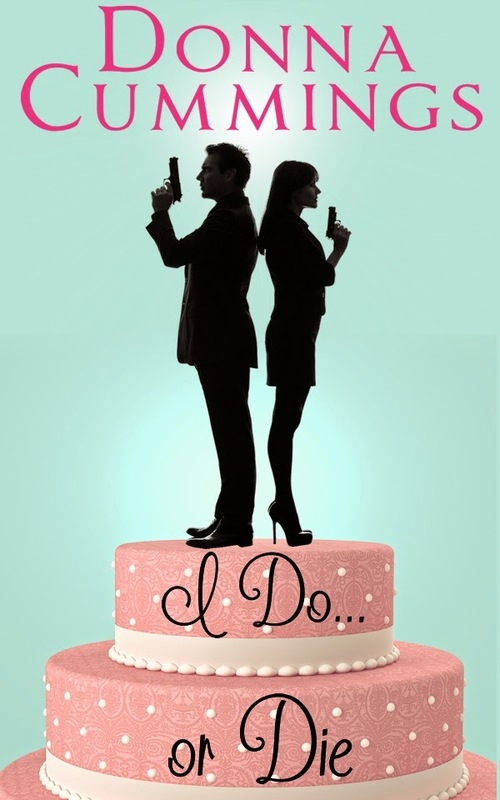 And, if you scroll down, you can read an action-packed excerpt from her book I Do...or Die! FUN FACT #2 (about Your Book): One day I was thinking about the various bridesmaid dresses I'd had when I was younger, and next thing I know this character started chattering about all the dresses SHE had (lots more than mine!) So I started typing, and those notes became the first scene of I Do. . . or Die. To my huge surprise, that scene ended with gunfire! So I thought, "You know, I've always wanted to try writing a mystery. . ."
FUN FACT #4 (about your writing process): My process is messy and uncontrollable, and some days it feels like I'm watching a bunch of very funny people auditioning to be in a sitcom. It can be challenging to corral all the ideas and characters into something that resembles an actual story. I love drafting, and can do that very quickly. Revising and editing are harder since it requires me to be very critical of the story I've just created -- and then I worry I'll take out everything and end up with nothing more than the original sitcom auditions. LOL The editing stage seems to take forever, so my brain starts popping up with new story ideas--and it's tempting to follow those instead of patiently whipping the original story into shape! FUN FACT #5 (about your next book): There are a few stories that are jostling to be the next book. Hmm. I'll just close my eyes and pick one at random. Okay, I had the TITLE of this book, Driving Miss Crazy, before I had the story. Slade, the hero, is the brother of the hero in I Do. . . or Die, and he's in only one scene. I hadn't really thought of him being his own hero, but he's got this charming way about him, and it's hard to say no. Which the heroine finds out when he jumps into her convertible one day, acting as if he knows her, and then convinces her to drive him to his own car-- two states away. They're a very fun couple, with lots of banter (my favorite thing! ), and turns out I'd always wanted to do a road-trip book. . . I can usually be found on Twitter, talking about writing and coffee, and on Facebook, talking about coffee and writing. So I'm curious--have you been photographed with anyone famous? I can't claim being photographed with anyone famous (drat!) but I can think of a few guys I wouldn't mind smiling for the camera with (Loki, anyone?). Loved your facts, Donna. You always entertain me. I Do ... or Die was a great read and I'd love to see Slade get his turn in Driving Miss Crazy! I'm hoping you'll get to see Slade's book before the year is out. Of course, now the year is going to speed up. Ack! Love the format--very entertaining. 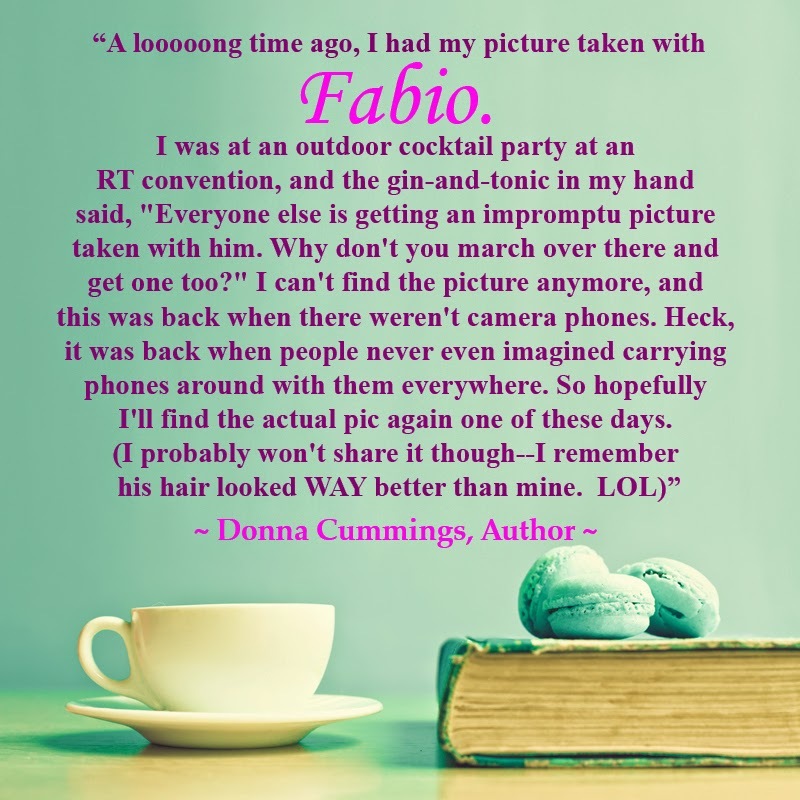 And the Fabio story? Fabulous! Can't wait to read I Do…I Die. Great post. I love the excerpt. especially the part about his anatomy. Very fun, it made me smile. Wow. Fabio, I've always wondered about his voice. For some reason I imagine he has a high squeaky voice. Elizabeth - Thank you for stopping by and saying hi! I'm sure you'll enjoy I Do...or Die! It made me laugh out loud! Marlow - LOL - Now I am imagining Fabio with Mickey Mouse's voice!